Ben Brown is a scout with Wheeler Avenue Troop 242. 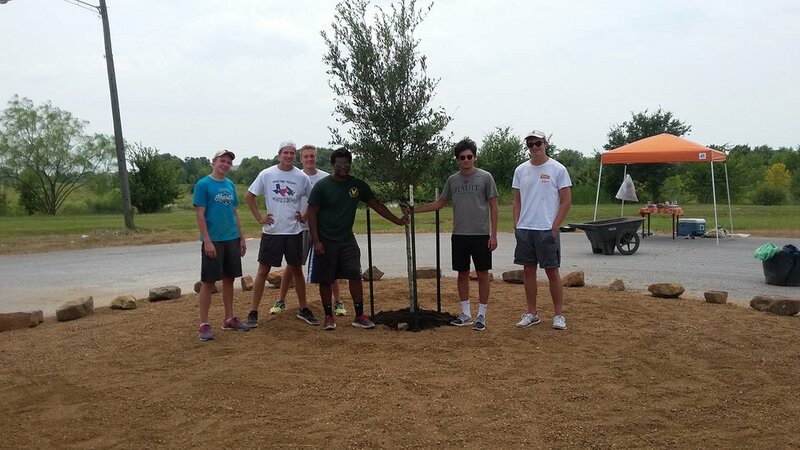 For his Eagle project, Ben completed a landscaping transformation of a traffic circle on Clematis Lane near the Varnett School. The site is an entry point into the Willow Waterhole Greenway. 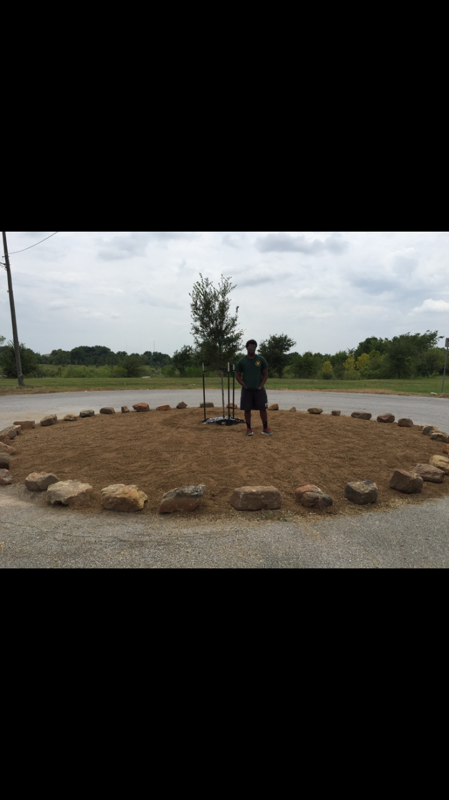 The circle was a weedy and potholed mess, on August 13th it became a beautiful xeriscape (see before and after photos below). 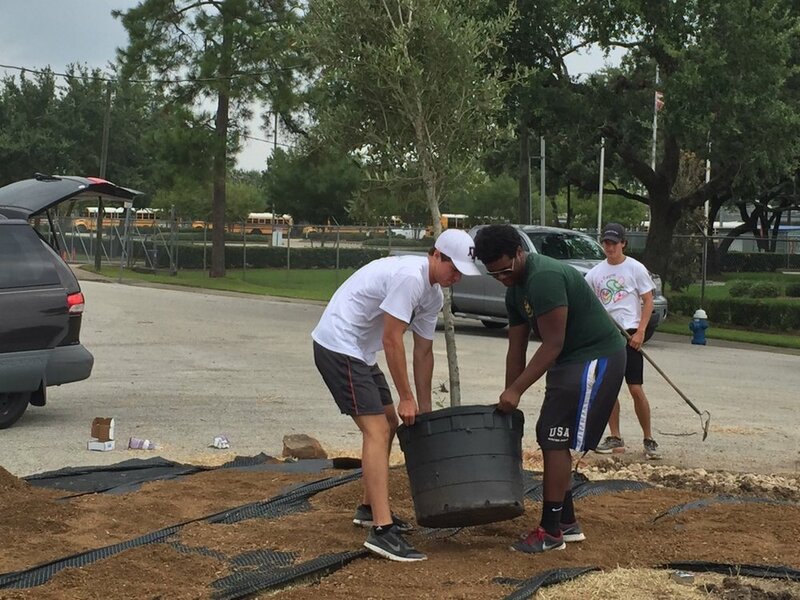 Ben was responsible for project planning, fund raising, and leading fellow scouts from his troop and classmates from Strake Jesuit in completing the work. The circle now has a large Live Oak tree surrounded by crushed granite and a boundary of moss rock boulders. Day 1 of the project involved eliminating weeds and site leveling. Day 2 involved planting the tree, laying weedblock fabric, spreading the crushed granite, and positioning the boulders.